"Every time you eat or drink, you're either feeding disease or fighting it"
©2013 Chocolate, Chicken and Coconuts – All rights reserved. 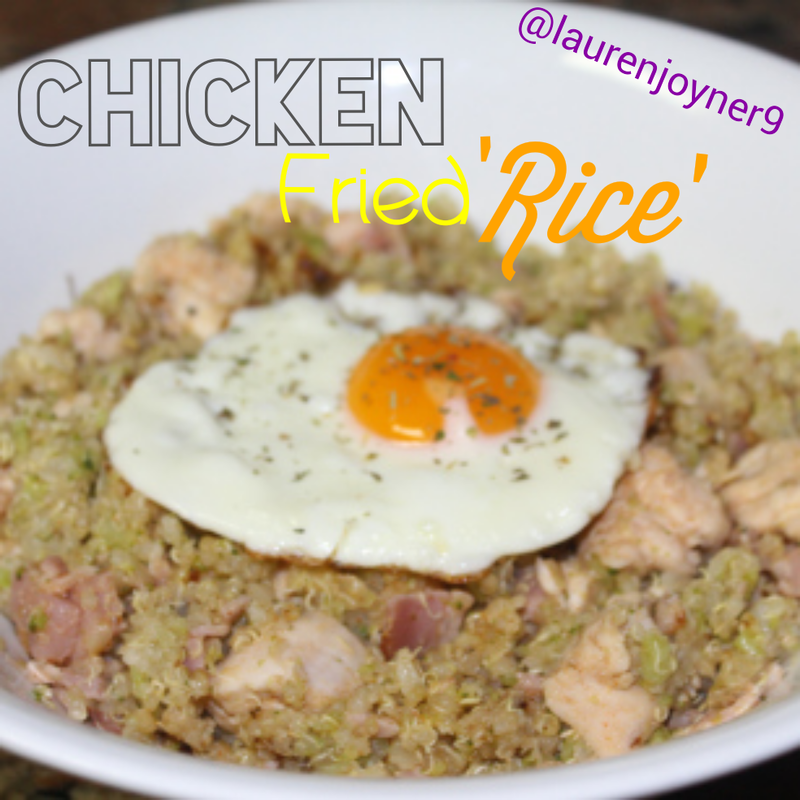 All images of recipes on this site are the sole property and original creation of Lauren Joyner (unless otherwise noted) and may not be used, copied or transmitted without my consent. If you would like to republish any of my recipes or photos I would truly be honoured please contact me. 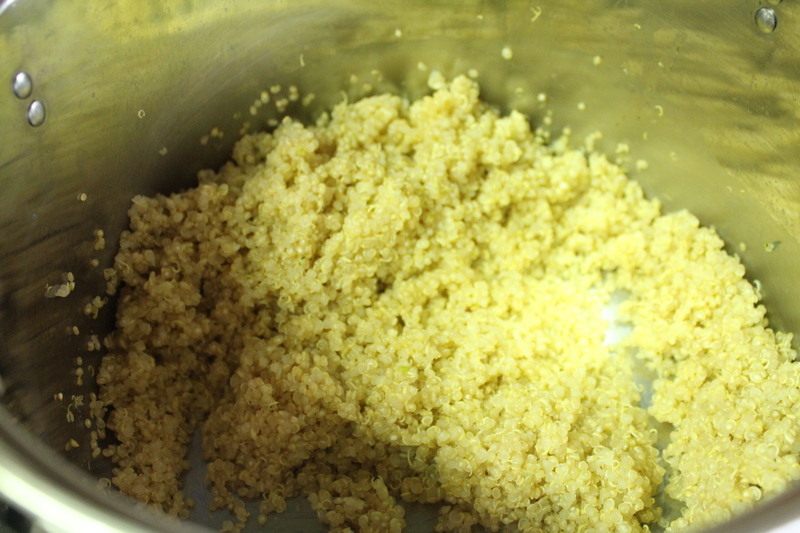 Rinse quinoa, then soak it in water for 5 minutes and rinse again. Add 2.5 cups of water to the rinsed quinoa and cook on a high heat. After it’s boiled for about 5 minutes reduce to a simmer. 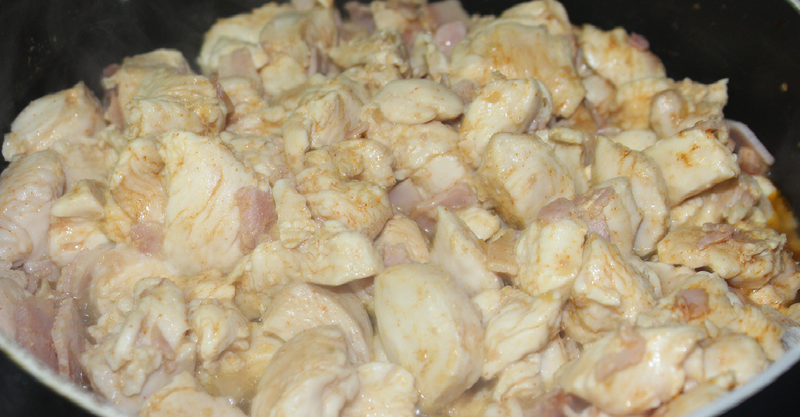 Remember to stir through every 5 or so minutes, it will take about 20 minutes in total to cook. You will know the quinoa is ready when all the water is gone and the quinoa is light and fluffy. Cut the fat off the bacon and dice the rashes into pieces. Cook in a frying pan on medium heat. Wash and dice the chicken breasts. After the bacon has cooked for about 10 minutes add the chicken, salt, garlic powder, onion flakes, chilli powder and paprika to the bacon. Place the cauliflower and broccoli in a processor with an S blade and process until the vegetables have become very fine. By this time the quinoa should be cooked. Add the vegetables and quinoa to the chicken and bacon and cook for another 5 minutes. Fry the 4 eggs and place on top of each serving.